TOTO is pleased to announce a February 9th worldwide release date on Legacy Recordings (a division of Sony Music) for their brand new Greatest Hits package titled 40 Trips Around The Sun. The 17 track album features three previously unreleased recordings: “Spanish Sea” “Alone” and “Struck By Lightning” alongside newly remastered classic tracks worked on by Elliot Scheiner & Gavin Lurssen and his team. The core Toto members, Steve Lukather, David Paich, Steve Porcaro, Joseph Williams re-entered the studio earlier this year to work on this release. Beginning on February 11th in Helsinki, the band will begin the first leg of their worldwide 40 Trips Around The Sun tour in support of their 40th anniversary. 36 shows in Europe have been announced to date. The tour will be the band’s most extensive run in years and is expected to hit the U.S. later in 2018. More shows will be announced shortly. Few ensembles in the history of recorded music have individually or collectively had a larger imprint on pop culture than the members of TOTO. As individuals, the band members can be heard on an astonishing 5000 albums that together amass a sales history of a half a billion albums. Amongst these recordings, NARAS applauded the performances with more than 200 Grammy nominations. Toto has over 400 million streams on Spotify alone along while views on YouTube far exceed over a half billion. 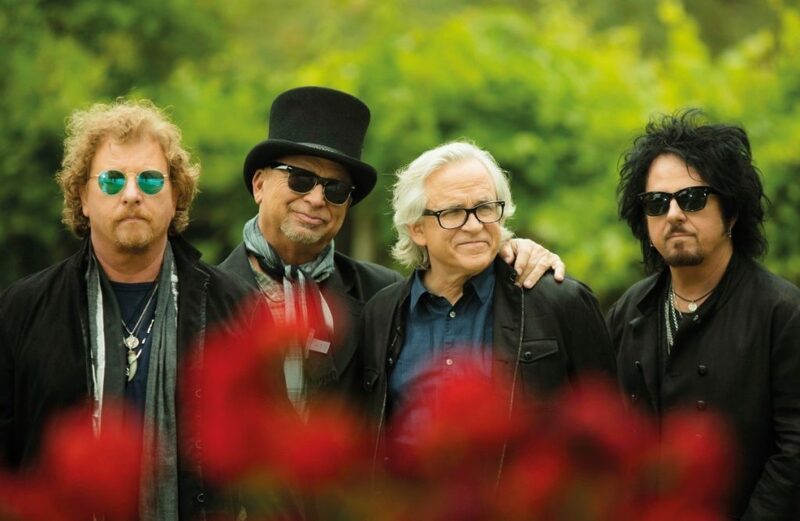 With close to 40 years together and literally thousands of credits, including the biggest selling album of all time: Michael Jackson’s Thriller, and accolades to their names, TOTO remains one of the top selling touring and recording acts in the world. They are the benchmark by which many artists base their sound and production, and they continue to transcend the standards set by the entire music community, being simply synonymous with musical credibility. Their repertoire continues to be current via high profile usage on broadcast television. They are pop culture, and are one of the few 70’s bands that have endured the changing trends and styles to a career enjoy a multi-generational worldwide fan base.